Following an eruption of panoramic, polyphonic perceptual feelings, perspicacity returns in the form of a Virgo Full Moon in strong aspect with Mercury and Saturn. The Moon’s journey from darkness to full light in the past couple weeks of this lunar cycle aligned with immense releases triggered by a solar eclipse, Venus stationing retrograde, and Mercury’s union with the Sun. The Virgo Full Moon brings focus to the moment within the streams of change, centering awareness on how to integrate the heightened influx of released emotions and changes in circumstances and relationships. Eclipses as well as Venus retrograde periods tend to be times of destiny in which new relationships emerge with fateful force while older relationships undergo necessary shifts or dissolution. The light of the Virgo Full Moon will illuminate where concrete action needs to be taken to address developing issues as well as how to adjust and modify the boundaries and structures of our lives to effectively work with however our external and internal experiences have been changing. Mercury in Pisces rules the Full Moon, separating from a square with Saturn in Sagittarius and a conjunction with Chiron. Mercury began a new cycle with the Sun less than a week before the Full Moon and as a result has been purified and regenerated from passing through the fiery heart of our Sun. However, Mercury remains combust and invisible due to its close proximity to the Sun, making it more difficult for Mercury in Pisces to sustain attention to detail. Mercury in Pisces is also not known for rational discernment and thorough research to the extent Mercury enjoys in its home and exaltation of Virgo, yet does brings imaginative and intuitive gifts that can open vision to how to best navigate forward with current plans. Mercury in Pisces has a psychic sense of underlying emotional dynamics and as a result the Full Moon will bring keen insight into one’s genuine feelings that previously may have been denied or blocked. Saturn in Sagittarius forms a square to the Virgo Full Moon as well as Mercury and Chiron in Pisces, enforcing discipline to the visionary capacities of Mercury and Chiron in Pisces. Mercury in Pisces inspires poetic leaps of thought and investigating questions seeking ultimate understanding, and its hard aspect to Saturn supports dedicated focus on tangible, practical action that will shift the musings of Mercury in Pisces from the inner realm of dreams into the external world of material manifestation. Saturn in Sagittarius has a more far reaching vision than Saturn does in other signs, and its strong influence on the Virgo Full Moon will illuminate not only the path forward but the actions and steps needed to be taken immediately in order to ensure later success. The square from Saturn to Mercury and Chiron will also bring alert to any areas of life that need attention, in particular due to consequences stemming from the shifts that have occurred in the recent period of eclipses. Use the intuitive capacities of Mercury in Pisces to attune to any and all messages pointing toward where one needs to recalibrate priorities and focus. Venus in Aries is retrograde yet remains a burning, bright Evening Star at the time of the Virgo Full Moon. Less than week after the Full Moon around March 18, however, Venus will descend at twilight into her invisible journey into the underworld where she will dive into the heart of our Sun for her rebirth. Venus retrograde is finally beginning to gain movement backwards through zodiac degree at the Full Moon, and the initial shifts of passions and relational dynamics that have coincided with her stationing in mid Aries will now be obvious in the full light of the Mercurial lunation. Venus in Aries is ardor, is embodiment of fiery passion circulating from head to toe, and the love and yearning of Venus in Aries demands outlets of expression. 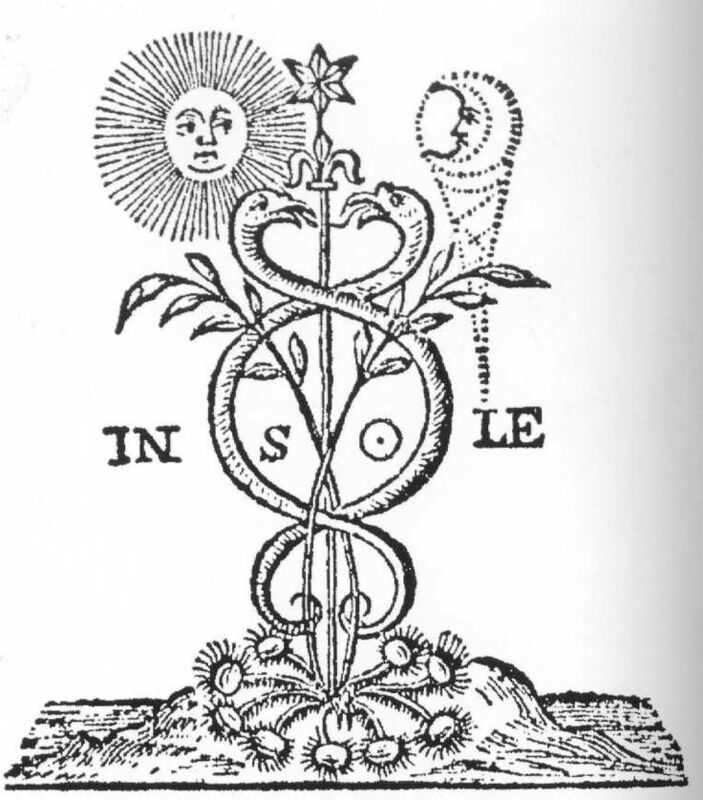 If one is not currently in a relationship through which to luxuriate within the sensual delights of Venus, there are numerous other avenues available through which to sublimate her enflamed passions available while in the home of Mars and the exaltation of our Sun. Art, creativity, pioneering explorations, and social activism are especially suitable mediums, but the important thing is to find places in life to freely express feelings rather than bottle them up and risk having them erupt in unfavorable circumstances. An important shift that occurred as the Moon increased in light building up to the Full Moon was that Mars entered Taurus, as Mars is hosting Venus in his home of Aries. As a result there is mutual generosity between Mars and Venus, as Venus is likewise hosting Mars in her home of Taurus. Mars in Taurus forms a whole sign trine to the Full Moon in Virgo, and furthermore is applying to an exact trine with the North Node in Virgo and a sextile with the South Node in Pisces. Venus is known as being estranged in Aries and Mars is also known as being estranged in Taurus, and so both planets are in signs in which they can express strength but in a way that can feel more out of control. Mars does enjoy expressing itself through the sensual earth signs where it can ground its force into tangible actions in the material realm, and so its mutual generosity with Venus in Aries can likewise bridge unlocked Venusian passion into concrete growth. The Virgo Full Moon occurs in the third face of Virgo that is associated with the 10 of Pentacles card illustrated above by Pamela Colman Smith. In tarot this image of a family enjoying the fruits of their labor and legacy is associated with wealth, both the accumulation of wealth as well as being able to sustain wealth through familial lineages or other legacies. The image also corresponds with the achievement of a stable, secure lifestyle affording one the possibility of enjoying material luxuries as well as the luxury of a contemplative lifestyle. We likewise have our own lineages to draw from in the pursuit and gaining of wealth, in terms of the root meaning of wealth being about happiness, health, and well-being. This could connect with your blood relatives and ancestors or your soul tribe, those beings who are your kindred spirits and have provided you with inspiration and visionary meaning. Escorted by wealth on one side and death on the other, the residents of this face cross the threshold into the tomb. Alone in the burial chamber with silent centuries, they dialogue with the corpse all will become about the value of all things. The importance of legacies becomes clear, for though all works face eventual decay, some endure for aeons . . . Though not mentioned by Coppock in his deft portrayal of this decan, in the tables of the appendix he lists that the fragmentary Hellenistic text the 36 Airs ascribed the goddess Hestia to the third face of Virgo. Hestia is a sublime spirit guide to turn towards at the Full Moon, for she holds within her purified gaze the focus necessary to stay true to the quality of value essential to our vitality that we wish to invest into the work we perform in the world. Hestia is the devoted one with a far reaching legacy of sisterhood we can draw from, a spiritual lineage that across tumultuous centuries has sustained respect with every breath and action for the living force found throughout all of the natural world of creation. Hestia holds within her heart a moral compass impossible to manipulate or distract away from the path of love and service to all of creation. Saturn in Sagittarius is residing at the same degree it will be inhabiting when Venus stations direct on April 15, and the Virgo Full Moon ruler Mercury is inhabiting the same degree of Pisces basically where both Chiron and Venus will be when Venus stations direct. As a result the Virgo Full Moon is not only illuminating the initial meaning of the Venus retrograde but also unveiling insight into how things will be taking shape in the months ahead. Within waves of shattering change, within the decomposition and death of the old and the hatching of the new, like Hestia may we open ourselves to the change of the moment through heart-centered focus on the eternal power of love and devotion. ‘the Virgo Full Moon is not only illuminating the initial meaning of the Venus retrograde but also unveiling insight into how things will be taking shape in the months ahead.’ – great point there. and lovely to learn more about hestia. wishing you an illuminating virgo full moon, gray.